Shop online for over 400 jl model trains at discounts up to 47%. Buildings is the most popular of the 7 jl model trains categories, then Roadway, and Trackside Accessories. 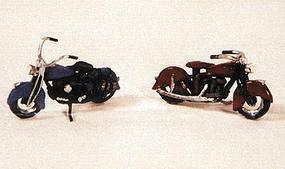 This is the Motorcycles Classic 1947 Model Metal Kit Model Railroad Building Accessory HO Scale by JL Innovative Design. 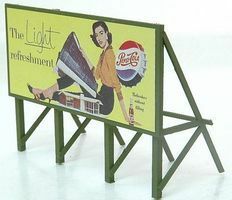 This is the Custom Billboard 1950s Pepsi Model Railroad Building Accessory HO Scale by JL Innovative Design. This is the Lawnmower Set (1) Riding Mower & (1) Gasoline Push Mower Kit Model Railroad Building Accessory HO Scale by JL Innovative Design. This is the Custom Highway Cones Painted Orange (10) Model Railroad Building Accessory HO Scale by JL Innovative Design. 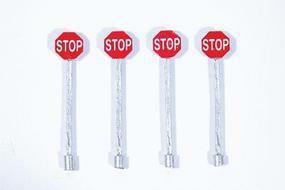 This is the Custom Stop Sign Red (4) Model Railroad Building Accessory HO Scale by JL Innovative Design. 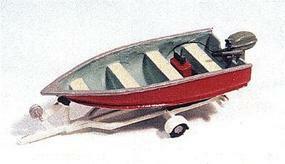 This is the Fishing Boat, Motor & Trailer Metal Kit Model Railroad Vehicle HO Scale by JL Innovative Design. 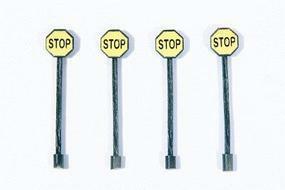 This is the Pre 1958 Custom Stop Sign Yellow (4) Model Railroad Building Accessory HO Scale by JL Innovative Design. 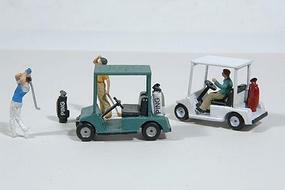 This is the Golf Carts(2) Golf Bags(4) Model Railroad Vehicle HO Scale by JL Innovative Design. This is the Vintage Wood Deck Tandem Trailer Model Railroad Vehicle HO Scale by JL Innovative Design. This is the Vintage Soft Drink Signs 1930's to 1960's (72) Kit Model Railroad Billboards in HO Scale by JL Innovative Design. This is the Custom Deluxe Railroad Crossbuck Signs (2) Model Railroad Trackside Accessory HO Scale by JL Innovative Design. This is the Saw Pit Store Kit Model Railroad Building N Scale by JL Innovative Design. This is the Custom Flour Sacks (3) Model Railroad Building Accessory HO Scale by JL Innovative Design. This is the Custom Garbage Cans/Painted & Rusted (5) Model Railroad Building Accessory HO Scale by JL Innovative Design. This is the Fence based billboards  Kit Model Railroad Billboard HO Scale by JL Innovative Design. This is the Uncommon Street & Parking Signs (150) Model Railroad Billboards in HO Scale by JL Innovative Design. This is the Storm Lake Mobil Kit Model Railroad Building HO Scale by JL Innovative Design. This is the Custom Upright Soda Machine/case Mixed brands Model Railroad Building Accessory HO Scale by JL Innovative Design. This is the Custom Small Propane Tank White Model Railroad Building Accessory HO Scale by JL Innovative Design.